At no point has it been broken – a string of What Hi-Fi? 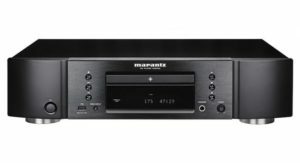 Awards dating back to the turn of the 21st century attests to that – but nevertheless Marantz has gone ahead and fixed its 6000 series CD player every year regardless. This latest version, the CD6006, has undergone numerous changes from the 2015 Award-winning CD6005 – not least a price hike to £400 from the outgoing machine’s £330. 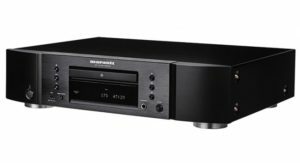 None of the changes are fundamental, but taken as a whole they contribute to making the CD6006 a superior disc-player to the CD6005 it replaces. Looking at it, though, you’d be forgiven for think Marantz had, for once, left well enough alone. The chassis dimensions and the fascia layout will be familiar to anyone who’s so much as glanced at a 6000 series CD player in the past. Up front there’s a central tray-loading mechanism with (bright, legible) display beneath, the usual controls, and USB socket and 6.3mm headphone output with gain control. 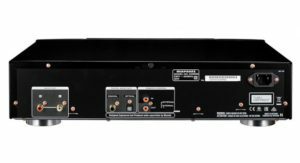 Around the back it’s the bare essentials: stereo analogue output along with digital optical and coaxial outputs for by- passing the 6006’s DAC and using it purely as a transport. 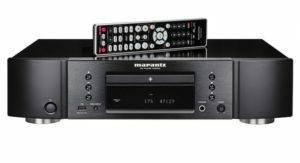 Control is by finger or by the usual logical, responsive and decently hefty Marantz remote control. 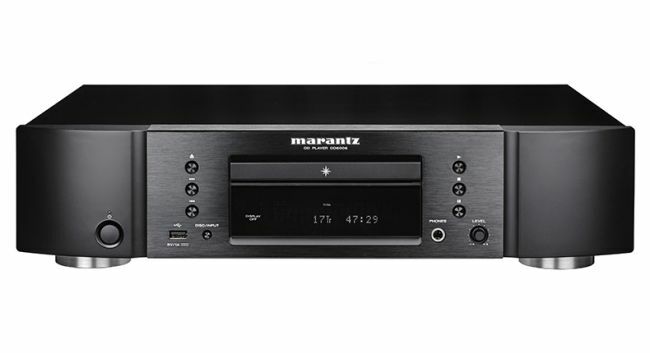 But rather than by-passing the DAC inside the Marantz, we’d recommend making the most of it. 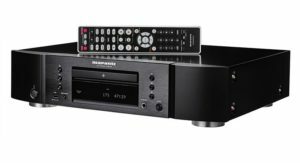 It’s a high-quality, high-resolution (24-bit/192kHz) Cirrus Logic CS4398 affair that’s capable of dealing with better-than-CD-quality digital files. It can be accessed via the USB input, so if you’ve any hi-res WAV files on a USB stick then the 6006 can becomes a hi-res audio player. The USB will also handle (lower quality) MP3, AAC and WMA files, as well as being a direct input for Apple devices. Elsewhere, the CD6006’s headphone output is remarkably well specified for a product of this type – it’s compatible with a wide range of headphones (and headphone impedances) and is far from the afterthought this sort of feature can be on other players. Slide a copy of Burial’s Untrue into the (smooth, quiet) disc-tray and the broad strokes of the CD6006’s sound are instantly familiar. It’s a robust, full-figured delivery, giving the low end’s hectic urban activity real weight and presence. This recording also shows up the Marantz’s lack of absolute authority slightly, the relentless bass attack threatening to run away with itself on occasion, but overall this a good player for those who savour a ballsy bass-line. Throughout the rest of the frequency range, the Marantz CD6006 proves an equally sturdy listen. There are decent detail levels in the midrange, and rather more bite and shine to the treble frequencies than we’ve been used to from 6000 series CD players in the past – which is definitely a good thing. Truly careless system-matching will provoke a little harshness, but in all reasonable circumstances the CD6006 is a nicely balanced listen. Timing is good even when the going gets complex, as once through Kurt Weill’s The Threepenny Opera (RIAS Berlin Sinfonietta, Ute Lemper) demonstrates. The 6006 establishes a broad and believable soundstage, positions and focuses well, and makes the interaction between whole sections or individual instruments obvious – there’s a tangible sense of performance that nominal rivals (of which there are few at this price) can’t quite match. It’s not about to get carried away or overexcited, but the CD6006 is a more engaged and engaging listen than the machine it replaces. Lower the temperature from ‘boil’ to ‘simmer’ with Ólafur Arnalds’ Found Songsand the Marantz is unflustered, able to deal with small-scale and delicate just as confidently as it does urban bombast. The attack and decay of piano notes, the bite and rasp of violin strings, and the light and shade of synthesiser washes are all delivered deftly. Ultimately the CD6006 errs on the side of caution, giving away the last iota of detail in favour of maintaining a smooth and unthreatening sonic signature, but if judged by the prevailing standards of £400-ish CD players this is nit-picking on our part. So it’s a case of “meet the new boss – mildly upgraded and consequently appreciably better than the old boss”. 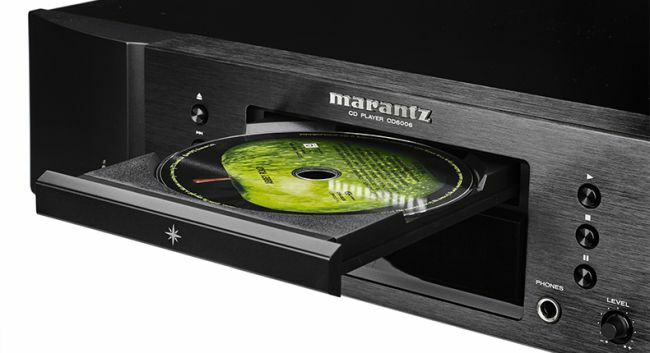 A price-hike is always a risky gambit, but in the case of the Marantz CD6006 it’s a punt that has paid off handsomely.